Harry Caray’s lasting impression and impact on American culture transcends that of a simple baseball personality. He has become a broadcasting legend and an icon of Chicago and major league baseball. Caray’s baseball broadcasting career spanned three metropolises and four major league teams.2 Starting in 1944, Caray began his major league career behind the mike with the St. Louis Cardinals and St. Louis Browns. After more than a quarter century in the Mound City, he worked a single season (1970) with the Oakland Athletics before returning to the Midwest. Caray spent the remaining years of his career and life celebrating baseball with two rivals, the Chicago White Sox (1971–1981) and the Chicago Cubs (1982–1997). SUZANNE WRIGHT is a writer for Field of Dreams Ghost Players and an independent filmmaker with DreamCatcher Productions who has written and edited for the Field of Dreams’ Ghost Player newsletter since 2008. Wright has also co-authored the books "Travels with Ghosts and Other Tales" and "St. Mary’s: The Finest Church West of the Mississippi." Suzanne Wright is a new member of the SABR Field of Dreams Chapter. 1. Michael St. Dennis, KXGE-FM air personality, personal interview with author, December 3, 2014. 2. Hughes, Pat. “Harry Caray.” Baseball Voices. http://www.baseballvoices.com/html/harry_caray.html (accessed December 8, 2014). 3. National Baseball Hall of Fame. “1989 FORD C. FRICK AWARD WINNER HARRY CARAY.” National Baseball Hall of Fame. 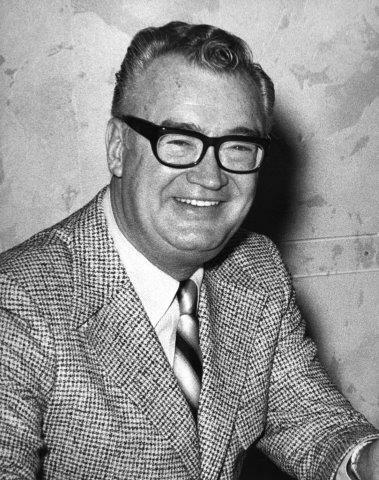 http://baseballhall.org/discover/awards/ford-c-frick/harry-caray (accessed December 8, 2014). 4. American Sportscaster Association. “1989 Hall of Fame Inductee Harry Caray.” American Sportscasters Hall of Fame. http://www.americansportscasters.com/caray.html (accessed December 8, 2014). 5. Radio Hall of Fame. “Harry Caray.” http://www.radiohof.org/harry_caray.htm (accessed December 8, 2014). 6. Grant DePorter, telephone interview with author, December 3, 2014. 8. Whitburn, Joel. “Jack Norworth.” Songwriters Hall of Fame. http://www.songwritershalloffame.org/exhibits/bio/C267 (accessed December 8, 2014). 9. Film Society of Lincoln Center. “Take Me Out to the Ballgame.” Film Lives Here. http://www.filmlinc.com/films/on-sale/take-me-out-to-the-ballgame (accessed December 8, 2014). 11. Matt Wagner, personal interview with author, December 3, 2014. 12. Joe Scherrman. “Color Commentators Announced for Patriot Night 07.08.09,” Ghost Player, LLC. http://www.ghostplayer.us/updates/color-commentary (accessed December 8, 2014). 13. Joe Scherrman, telephone interview with author, December 8, 2014. 15. St. Louis Walk of Fame. “Harry Caray.” http://www.stlouiswalkoffame.org/inductees/harry-caray.html (accessed December 8, 2014).